Stephen J Lipson, both individually and in collaboration with Trevor Horn, has been responsible for some of the most iconic sounding electronic-based musical productions over the last 30 years. 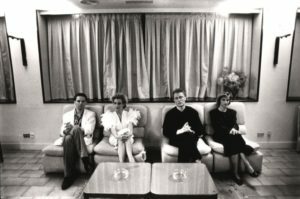 Alongside Trevor Horn, he was an integral part of the ZTT Records sound which was the Ying to the pop Yang of Stock, Aitken and Waterman – producing a stellar run of songs that were musical, very often cerebral and in many cases, massive chart hits. Whereas some band producers of the era were happy just to record the artists and suggest a few overdubs, Lipson and Horn saw the potential in often scrappy sounding demos and had the vision to use the latest available technology, combined with their own musicianship, to totally transform and take them to another place altogether. The two acts that remain most musically indebted to the ZTT stable were Liverpool’s FRANKIE GOES TO HOLLYWOOD and Germany’s PROPAGANDA. As well as producing tracks which arguably sounded better than most of the competition, the label’s arch strategist Paul Morley perpetuated a tradition started by Factory Records in aligning the music of their artists with a design aesthetic that although could be seen as being ultra-pretentious, helped give the bands a unique identity. Stephen J Lipson has also produced for PET SHOP BOYS, SIMPLE MINDS, ANNIE LENNOX, SOPHIE B HAWKINS, PHARRELL WILLIAMS and ULTRAVOX amongst others. 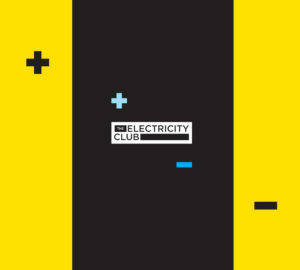 He kindly spoke to The Electricity Club about elements of his glittering career and also his move into the world of film music production and mixing. I was self-taught and I built my first studio in the mid 70’s with no knowledge or help. Then I started engineering, making it up as I went along – my only previous experience was operating a Revox tape machine in my bedroom. After the studio had been going for a few months, Dave Robinson (Stiff Records) wanted to record an album there and suggested that he got an engineer in for the first day. That was Phil Brown who, in the space of 12 hours, got the project under way and taught me some invaluable lessons. The art of band album production is often seen as a bit of a “black art”, what is your take on being successful at it? You need to have personal taste, be able to get on with people and have good teamwork. Not taking up too much space in the room too by doing what has to be done – tea, driving, jokes, playing, writing, emailing, etc etc. Also giving encouragement to all involved and understanding that it’s not too important, at the end of the day it’s just music! You’re well known for playing on some of the works you produce, are many producers frustrated artists? I don’t know many producers and the ones I do know seem to be happy without the need for adulation. Things really clicked into place when you started working with Trevor Horn and the whole ZTT experience, what are you main memories from that period? My main memory is WORK! We worked so hard that when FRANKIE GOES TO HOLLYWOOD’s ‘Relax’ went to number one we didn’t celebrate, we just kept at it – it was enjoyable work in a great team though. My other memory is exposure to loads of equipment and having the time to use it. ‘Relax’ took a lot of attempts to perfect, how did the process go from the original (very rough) demo to final product? Trevor had done a version with The Blockheads before I started working with him. We then spent ages on a “smart” version which took ages. Then he came in one day and said he wanted to scrap it and start again. That was when the single happened, very quickly, Trevor, JJ Jeczalik, Andy Richards and myself all playing live. With the exception of Holly Johnson and Paul Rutherford, the rest of FRANKIE GOES TO HOLLYWOOD didn’t actually play on the final released version of ‘Relax’, how did the public react to that? As far as I know I don’t think anyone knew at the time! PROPAGANDA’s ‘A Secret Wish’ is still a stunning sounding piece of work, were the demos you received for the album pretty fully formed? For the most part the demos weren’t finished at all. They were skeletons, which is one of the reasons the album took so long. 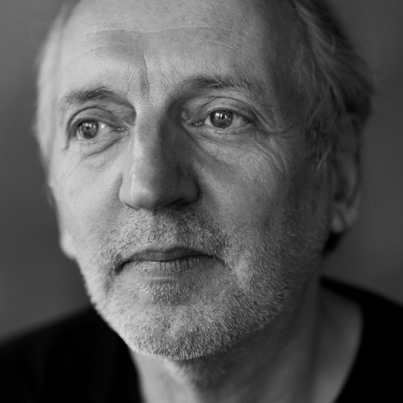 Michael Mertens, the musician in the band, lived in Düsseldorf. Trevor was working on other projects, so we were very much left to our own devices. Paul Morley was the main person who helped steer the project. My main memory of the album is of working in a black room for months with Andy Richards and loads of gear. Apparently there were 14 versions of ‘Relax’ and 10 of ‘Dr.Mabuse’ – why go the extra mile and create so many alternative versions? No-one knew what they were doing at the time and Paul Morley probably kept asking for more and we just kept going! Do you feel you and Trevor Horn deserve more recognition for pioneering the art of remixing and the alternative version? I believe you were one of the first producers to work using digital recording, how was that experience? It was a massive relief. There was no hiss, the difference in sound to our ears was wonderful and less EQ was needed. The Sony machines were also really reliable, we tried a Mitsubishi 32 track first but it didn’t work. Are you a “snob” when it comes to music/studio equipment? Do you often wish that vocalist-enhancing tools such as Autotune and Melodyne were available back in the day? Do you have a favourite post-ZTT artist that you’ve worked with? It’s hard to say, I enjoy the process of recording so if I were to pick an artist I would base it on personality which isn’t really relevant. You produced the ULTRAVOX comeback album ‘Brilliant’, were you a fan of the band before joining the project? Yes! Also I thought that any band that could write and make the records that they had over the years would be great to work with. How was the process of working with the band on the album, was it a challenging experience? Sort of, but it was very fulfilling. They’re lovely guys, but I was amazed that the album didn’t do all that well, I thought it was very good. Do you have any ideas as to why the album wasn’t more successful? Not a clue. Maybe it was a lack of money to promote it? Maybe a lack of interest in the band? It’s hard to say. Today it is far easier for artists to self-produce and record, do you still think the big studio has a place in the current market? Yes and no. In order to collaborate it’s ideal to be in the same space and this requires more than a home studio. I miss the collaborative aspect of record making but pragmatism must prevail, plus there are rarely any big budgets for projects now. Does having the internet mean that there is a less of a necessity to travel for certain projects now? To a certain extent, but a common space is better. It’s an interesting way of working though. I did an album with MIKE OLDFIELD recently, where I was in LA and London and he was in the Bahamas where he lives. For the most part it worked but we did have some strange moments! Much of your work now involves mixing/producing film scores including with HANS ZIMMER on ‘The Dark Knight Rises’ and ‘Rush’, how does that compare with making band albums? It was a massive learning experience moving into the film world, but it happened for me at an ideal point. I was getting bored with the predictable song structure and instrumentation of pop music. And I was starting to feel out of touch with the charts. There isn’t much comparison apart from music being the common denominator. Everything in film world is larger – budgets, quantity of music, sounds, personalities, sophistication. But being able to go between the two is amazing as after a while I miss all the things I found boring in pop. 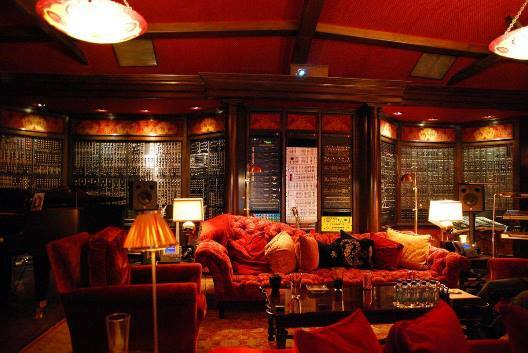 Is HANS ZIMMER’s studio as stunning as it looks in photographs? More so! The pictures don’t show the technical side which is beyond one’s wildest thoughts. What projects are you currently working on and are they still biased towards the film world? The film work is definitely biased towards the film world! Currently I’m working with RONAN KEATING. The 5th album of his I’ve worked on. Also an amazing Japanese artist called HOTEI. In a couple of weeks I’m off to New York to do another movie with Hans. If you could pick a ‘Desert Island Disc’ track that you are most proud of working on, what would it be? I have no idea. I’m not truly happy with anything so would probably take something else entirely!